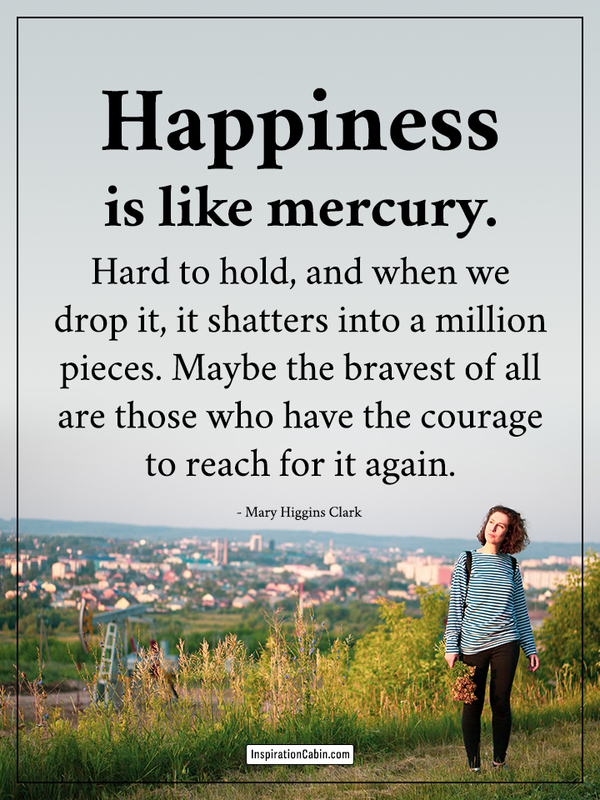 Happiness is like mercury. Hard to hold, and when we drop it, it shatters into a million pieces. Maybe the bravest of all are those who have the courage to reach for it again.